"He's got a really excellent style in court, he's very good with clients, and he gives robust, clear advice." "A good cross-examiner with great knowledge of the case." Tom Adam QC is well-known as a leading advocate and adviser in a broad range of heavy commercial work. Recent cases include acting for the successful claimant in a hard-fought two week arbitration between well-known oligarchs; bringing a £120m claim for Northern Rock against its former solicitors; and a successful appeal (having not acted below) for the Candy brothers against a freezing order (Holyoake v Candy  2 All ER (Comm) 513). In October 2018 he will lead a 3 counsel team in a 3-4 month Commercial Court trial, instructed by Herbert Smith. Tom is a market leader in complex professional negligence/disciplinary matters, and is regularly instructed in matters involving the Magic Circle firms of solicitors and the Big Four accountants. 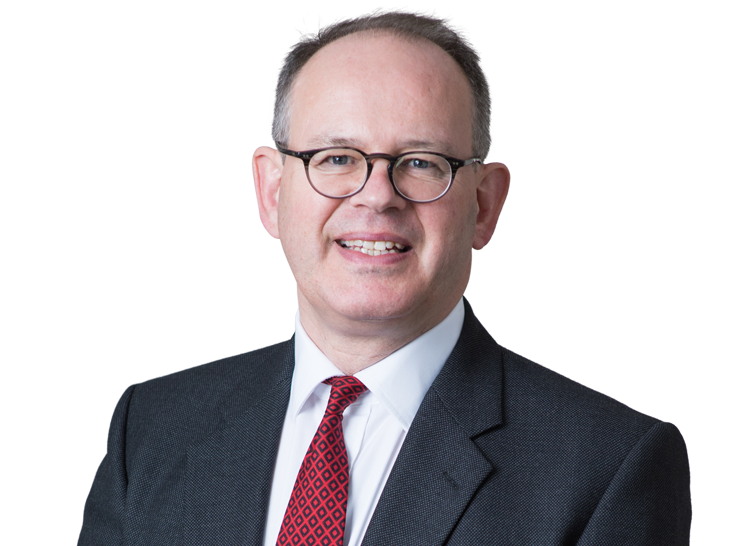 He has acted in many cases in the public eye, including Stone & Rolls v Moore Stephens; the phone hacking scandal; the Takeover Panel proceedings relating to Vallar plc/Bumi; and the collapse of Connaught plc. He has extensive experience of dealing with regulatory bodies in high profile disciplinary matters. Tom is also one of the UK’s leading insurance/reinsurance lawyers, with a depth of experience going back to the Lloyd’s litigation of the 1990s. He is the author of Chapter 10 (insurance brokers) in Professional Negligence & Liability (LLP). An expert in the law of privilege, on which he writes and lectures, Tom is regularly instructed by The Law Society to advise and appear in privilege cases in which the Society is intervening; this work has included two leading House of Lords/Supreme Court cases (Three Rivers No 6 (2005) and Prudential v Pandolfo (2012)). At Cambridge he won a boxing blue as well as prizes for light verse, oratory and more conventional academic achievements. Tom’s most recent general commercial cases include a 2 week arbitration dispute between oligarchs in late 2017, in which Tom obtained a substantial award for his client (this was then turned into an order of the Commercial Court, resulting in the issue of a freezing order and payment in short order), and Holyoake v Candy  2 All ER (Comm) 513, in which Tom (instructed to come in at the appellate stage) over-turned a novel form of freezing injunction granted against the Candy brothers by the Chancery Division; the Court of Appeal accepted that the Judge had both applied the wrong legal test and misunderstood the facts. Tom is regularly instructed in heavy professional negligence disputes involving the leading firms of accountants, solicitors, insurance brokers and others. His broad commercial experience enables him to analyse underlying transactions in many different commercial spheres and to make an accurate assessment of where strengths and weaknesses lie. He has appeared in some of the highest profile cases of recent years. Alton v Ernst & Young - Tom is acting for EY in this 5-6 week 2018 Commercial Court trial, in which accusations of negligence have been made in relation to tax planning advice about the well-known Eclipse film schemes. NRAM v Eversheds – Tom is acting for NRAM in a 3-4 week Chancery Division 2018 trial for negligent legal advice about standard form banking documents. Accident Exchange v McLean & Others – Tom is leading for Morgan Cole, one of the firms accused by Accident Exchange of improperly conducting thousands of pieces of “credit hire” litigation. The case has spawned large numbers of interlocutory disputes, including (Accident Exchange v McLean & Others  EWHC (Comm) 23) the Commercial Court’s rejection of Accident Exchange’s claim that the “iniquity” exception applied so as to disapply privilege. Stone & Rolls v Moore Stephens – Tom acted for the defendant auditors at all levels, including the House of Lords. In this landmark case, which sharply divided judicial and academic opinion, the auditors faced a claim for negligent failure to detect that their corporate client was being used as a vehicle for fraud by its owner and controller. They succeeded in having the claim struck out on the basis that the company itself had been guilty of the dishonest conduct which it was said the auditors should have detected, and thus could not mount a claim. “Phone hacking”: Tom was heavily involved in rebutting the allegation by Rupert Murdoch that his solicitors had made a "serious mistake" in relation to the phone hacking scandal; this encompassed dealing not only with News International itself but also with Parliament and the Leveson Enquiry. Reed Employment v Robson Rhodes - Reed (the temporary employment business) entered into tax planning on the advice of its then accountants, Robson Rhodes; ultimately this was challenged by HMRC and litigation followed. Tom acted for Reed in a claim against Robson Rhodes for negligence both as tax advisers and auditors. MCashback v Nabarro LLP - Tom defended Nabarro LLP against a heavy negligence claim (put at about £125m) relating to the conduct of underlying litigation between 2006 and 2009. SocGen v RSA and others: after the loss of $500m in gold bullion, Societe Generale claimed against both its insurers and its insurance brokers (one of whom Tom defended). Credit Suisse v Linklaters: this claim arose from the collapse of Parmalat. Tom acted for Credit Suisse in its complaint that it had been badly advised on Italian law by Linklaters. Guy Hands & O'rs v Baker Tilly & Another: Tom defended a member of the tax Bar in a group action relating to a tax avoidance scheme. The Football League v edge ellison: following the collapse of ITV Digital, the League sued its solicitors for failing to advise that a parent company guarantee should have been obtained on the original sale of broadcasting rights. This has become a leading case on the line between legal and commercial advice from solicitors. As a natural fit with his expertise in professional negligence, Tom regularly acts for the same blue chip client base in relation to professional disciplinary matters. He has extensive experience of the disciplinary functions of all the major regulators, including the Takeover Panel, the FRC, the ICAEW, and the SRA. Recently he has acted for PricewaterhouseCoopers in relation to charges brought by the FRC over its audit of Connaught plc, and for Freshfields in relation to charges brought by the Takeover Panel in relation to the affairs of Vallar plc/BUMI. Tom's practice has included a substantial amount of insurance and reinsurance work from the moment he joined Chambers. Most of this has been undertaken in arbitrations, especially in the reinsurance market, and is therefore confidential but in the last decade the value of the large number of insurance/reinsurance arbitrations in which Tom has appeared is in the billions. Tom is also instructed from time to time as an expert in English law on insurance/reinsurance cases in other jurisdictions and as an arbitrator in insurance/reinsurance disputes. Following the nationalisation of Bradford & Bingley in 2008, claims were threatened by shareholders who had bought shares in a rights issue only weeks before the collapse. Tom acted for both the bank (in effect the Government) and its board of directors in successfully rebutting these claims. This involved analysing the underlying reasons for the bank's failure (its involvement in the sub-prime mortgage market) and advising on some unexplored areas of financial services law. The insolvency and restructuring of British Energy led to a complex suite of banking documents in relation to one particular asset, a power station in the UK. Tom has acted for British Energy (and then EdF) in a series of successful disputes, at first instance and on appeal, over the construction of the various interlocking banking agreements. In addition, Tom's professional negligence practice for (and occasionally against) the "Magic Circle" solicitors regularly crosses over into high value banking transactions (for example he advised a major City firm in relation to claims arising from the collapse of Lehman and the form of a Prime Brokerage Agreement under which assets of almost US$1bn were being held). Tom is regularly instructed by The Law Society in relation to questions relating to privilege. He appeared in the House of Lords when the Society intervened in Three Rivers DC v Bank of England (No 6) on the scope of legal advice privilege, and in both the Court of Appeal and the Supreme Court in Prudential v Pandolfo on whether advice on the law from accountants attracts legal advice privilege. He also advises the Society from time to time on other, confidential, matters. Below is a selection of comments about Tom since he took silk in 2008. Tom takes pride in the fact that these quotations illustrate that he is a team player, with whom clients and other professionals can easily establish a good working relationship. He treats litigation as a team sport rather than a solo event, and regards one of the key skills for a modern silk in complex cases as the ability to ensure that contributions from all involved are as fruitful as possible. Having been a solicitor himself he understands what his professional clients need, and he knows that his lay clients want comprehensive advice in common sense language. He never forgets that the law is a service industry. Trinity College, Cambridge; BA 1987 (Lizette Bentwich Prize). Charles Grant Tennant Prize for light verse 1984 and 1987.